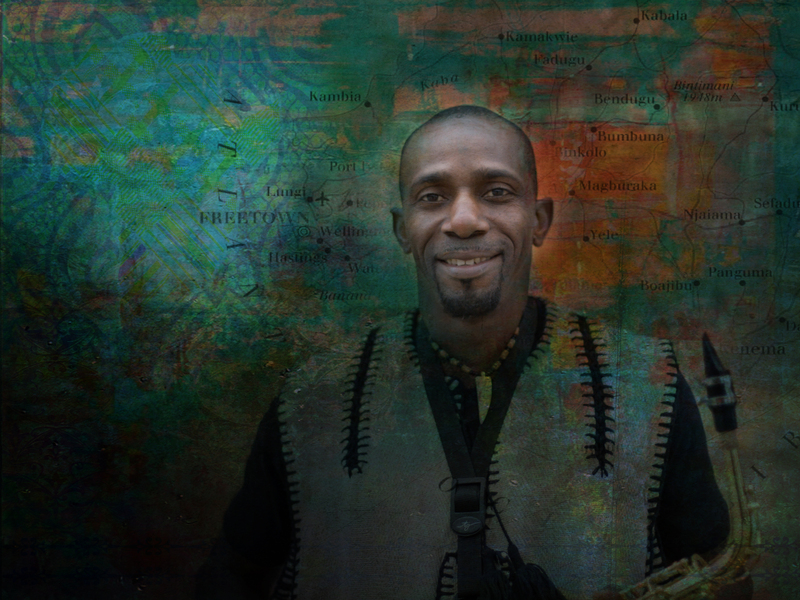 Cecil Jones is a Musician born in Freetown Sierra Leone. At the age of 12 he started his musical journey as a Soprano boy and later developed into a Tenor singer at the Portuguese Town Methodist Church Choir in Freetown Sierra Leone. Cecil’s love for music developed over the years after several performances as a soloist. There was one remarkable performance which he did with his church choir that was broadcasted over Sierra Leone television and was viewed nationwide. This gave him the urge to do more in the field of music as friends and family watched his performance and gave him positive and encouraging feed backs. Not long after that performance, Cecil became very passionate about music and wanted to try and play any musical instrument that was made available to him. And in doing so, he joined his school Brass Band (The Sierra Leone Grammar School) and also the CCSL Gospel Band were he learnt to play several musical instruments including: Trumpet, Guitar, Keyboard and Drums. Backed with his playing skills, Cecil developed into an impressive singer/songwriter and has recorded two Gospel albums “My Life Time” and “This Is My Time” respectively. In 2004 Cecil moved over to the UK where he pursued his musical career and completed a two years Music Diploma Course. Here in the UK, he served as the Choir Director at Walworth Methodist Church for three years and also sang with various choirs including: Leoa Academic Male Voice Choir, Ballanta Music Makers, Hull Choral Union and Hot Gospel Choir respectively. It was also during this period that Cecil fell in love with the Saxophone and decided to take it up as a new instrument, today the Saxophone has become Cecil’s main instrument and his fluency in this instrument is admirable. He loves the Saxophone and feels inspired playing it, he finds so much pleasure whenever he plays at different functions. People love the sound of the Saxophone and always say they feel so much happy and joyful listening to Cecil whenever he plays and this brings him much satisfaction. On his relocation to Hull in January 2012 together with his family, Cecil has been actively involved with organising musical functions in the local communities. He also supports various charities including Best Hope, Afro Food Lounge and volunteer at Hull City Council, and the Open Doors Project at Princes Avenue Methodist Church providing music on a weekly basis, organising fund raising concerts for the project, and helps prospective musicians to develop their musical abilities. At Princes Avenue also Cecil leads a Choir comprises of people from various communities in Hull called UNITED VOICES. Here in Hull Cecil is known as a multi talented musician and some call him CJ Sax, a name given to him by Augustus Ana Banjo of Best Hope and Afro Food Lounge, who’s support and contribution to the Hull community is immensely appreciated. Many Thanks to all who had inspired and supported me in my musical journey over the years and up to this day especially my wife and children, you are all very much appreciated. Music is my feeling and everybody knows. Here is my latest composition a song titled ‘MY YORKSHIRE HOME’ this song is dedicated to the Open Doors at Princes Avenue Methodist Church and All the people of Hull ‘MY YORKSHIRE HOME’ written, composed and performed by Cecil Jones aka CJ.